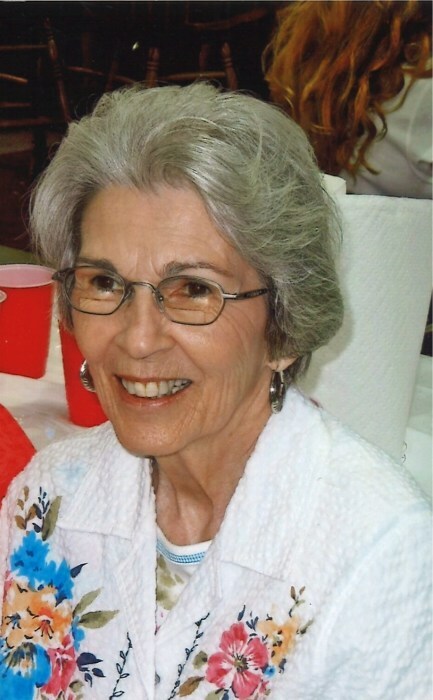 Mrs. Edith Zane Barrentine, 79, passed away on Monday, September 10, 2018 at Legacy Village of Tifton. Graveside services will be held Thursday, September 13, 2018 at 11:00 a.m. in Oakridge Cemetery with Lester Potts officiating. A Eulogy will be offered by her granddaughter, Deann Akins-Lewenthal. Interment to follow in Oakridge Cemetery. The family will receive friends on Wednesday evening, September 12, 2018 from 6:00 to 8:00 p.m. at the funeral home. Mrs. Barrentine was born March 15, 1939 in Tift County to the late Malcolm Lamar Brantley and Edith Hammock Brantley. In addition to her parents, she was preceded in death by her husband, James Thomas Barrentine who died in 1986. Mrs. Barrentine was a licensed practical nurse and homemaker. She served as the American Legion Auxiliary President, Secretary, Treasurer, Trustee and Fair Committee Chairman. In 1996 she served as the first Director of Southern Care Assisted Living. She loved to keep her grandchildren, cook and work in her yards. She was a wonderful caregiver to her family. Mrs. Barrentine is survived by her daughter and son-in-law, Edie and Lester Potts of Tifton; her son, Jimmy Barrentine of Tifton; three grandchildren, Deann Akins- Lewenthal and John of Omaha, Nebraska, Reece Akins and Jill of Valdosta and Brantley Barrentine of Tifton; two great grandchildren, Taylor Akins and Marley Akins; one brother and sister-in-law, Malcolm and Gloria Brantley; Life long friends, Annette Parson and Nell Pickard. Flowers accepted or donations may be made to Baptist Children’s Home, 9420 Blackshear Hwy, Baxley, Ga. 31513. The family wishes to thank the staff of Legacy Village and Hospice of Tift Area for their love and care.